Mature EMR Use: a Twitter Conversation – Darren Larsen.com. Ideas. For Healthcare. We have come a long way in Canada in getting physicians to adopt digital records systems in the form of office based electronic medical records (EMRs). In Ontario alone over 11,600 physicians (both family doctors and specialists) have EMRs in their practices and are using them with varying levels of sophistication. For many of us, the EMR is our lifeline to our patients. These systems are the environment in which we physicians spend almost all of our day, recording the patient story, reading and thinking about test results and communicating with their peers externally through the creation of referrals, and internally with messaging systems. Some clinics are starting to push the boundaries of basic use, though, and this is where the power of digital records systems becomes apparent. This is not easy work. The thinking required to move to mature EMR use takes reflection and solid dedicated effort on behalf of physicians, nurses and the staff they employ and is often done off the side of the desk. We are challenged with advancing mature EMR use in basic concepts of change management. How do we convince users of the benefit of moving forward? How do we make the work palatable in the face of all the other demands facing them every day from the clinical, business and system perspective? How do we do all of this in an already strained system with fewer and fewer payments for participation? There is a tendency to look to our American neighbors in their advancement of EMR Maturity, but models there have been built on massive incentive payments without necessarily a view to how the change can be sustained. As well, many clinicians are involved in accountable care contracts with various gain sharing and risk sharing strategies that make the work in maturity more pertinent as there are direct benefits to business groups and a time investment in changing behaviour pays off quickly. But the Canadian environment is different. Tomorrow (Wednesday February 10th at 1 pm) I will hosting a “Tweet Chat” with @HCSMCA. During the short hour we have to chat we are hoping to explore barriers and opportunities in the advancement of EMR use in our environment, especially the community EMR space. This applies to both primary care and specialist thinking. We are posing four big questions to advance the conversation and are hoping that you have some great ideas to promote change. T1: How do you use your EMRsnow? What do you value most in it? As a health professional, patient, researcher, etc. 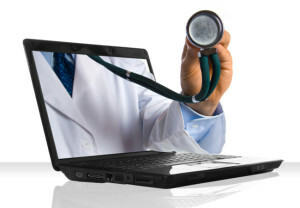 T2: What would the EMR of 2030 look like? Where do we need to get to? T3: What could/should be done w/ the vast data in EMR systems to improve patient care, relationships & the healthcare system? T4: How to move forward/promote the advanced adoption and use of mature EMR systems? This promises to be a very interactive conversation about the possibilities of community based EMRs, and how they can be used for truly positive change! Do EMRs serve doctors, or do doctors serve EMRs? Are EMRs designed to help doctors provide patient service, or are they designed to help regulators oversee and drive protocolized treatments? Any dichotomy risks fallacy, but I think this crux needs to be solved. Are EMRs a tool designed to help doctors work or are they a tool designed to force doctors to work differently? I love my EMR. I love being able to look at labs at home. But I worry – all the time – about others hovering over my charts, checking my performance, and doing ‘quality improvement’ projects by virtue of their access to my charts. Any great opportunity present great risk. I think we need to boldly embrace the opportunity being fully aware of the risk. Thanks for this piece! Well written and very thoughtful. Agreed Shawn… this is something that we all need to think about. Well designed EMRs work well for doctors. None really work well for the system right now. We are seeing the advance of some US Products into the Canadian market, mostly through hospital HISs that are very much designed for system level reporting. And they tend to be provider unfriendly. If / when we get into reporting or use of data for system planning, my hope is that we can have both. Something we as clients should be demanding from our vendors! !